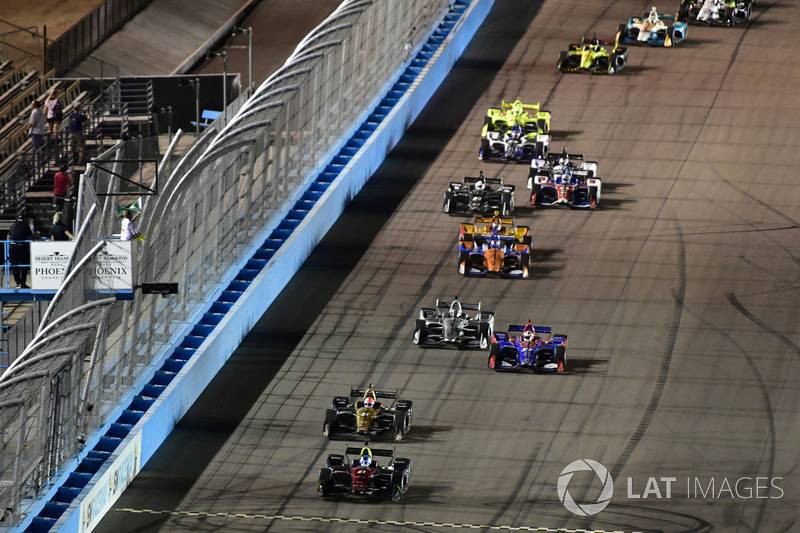 Just two races into the NTT IndyCar Series’ 2019 season, it’s already apparent that the latest batch of rookies could alter perceptions, shake up the driver market and force team owners to make some tough decisions. David Malsher explains. During 2018 IndyCar Spring Training at Phoenix’s ISM Raceway, I was chatting with Trevor Carlin about his team’s preparations for its first IndyCar season, before the conversation drifted onto the topic of Carlin Racing drivers of the very recent past and present. 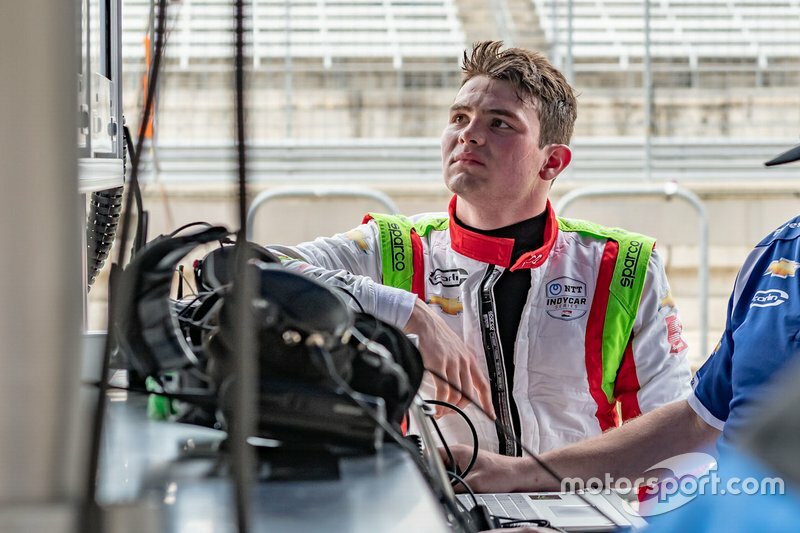 When Colton Herta went to Europe aged 14 to learn all he could about junior open-wheel racing, he did so with Trevor’s legendary team and thus learned quickly. Herta earned Carlin four race wins in the 2015 MSA Formula (an F4 equivalent) and finished third in the championship. The following year he scored one win in British F3 and four in the Euroformula Open championship and went on to finish in the top three in both those series’ points tables. At the time of our discussion, Herta was about to enter his second year of Indy Lights with Andretti Steinbrenner Racing while his former teammate Lando Norris had graduated to Formula 2 with Carlin, fresh from winning the F3 European championship. I asked Trevor how he’d compare the two. “Colton’s just as good as Lando,” he replied. “He’s maybe a bit harder on the tires – he finds the same speed in a bit of a different way. But he’s fast and his feedback is very good for his age. Carlin went on to predict that Herta would end up as part of the Andretti Autosport family because it just made sense: Herta Sr. had teamed up with Michael Andretti back in 2016. And Trevor’s forecast was accurate because Harding Steinbrenner Racing is now effectively a satellite AA operation. What he didn’t anticipate was that one year later he’d be able to hire the kid who would go on to beat Herta to the Indy Lights crown. The day before this year’s Spring Training at Circuit of The Americas, Patricio O’Ward announced he was ending his contract to race IndyCars for Harding Steinbrenner. 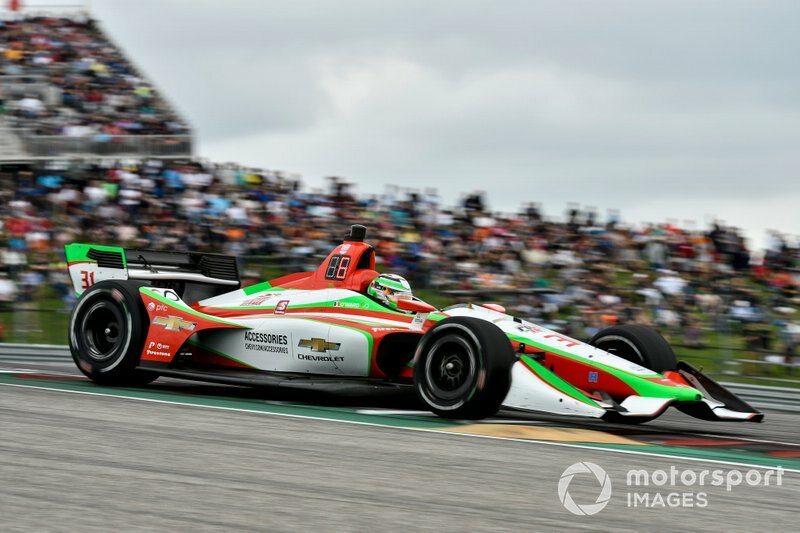 The Mexican 19-year-old had been set to continue as Herta’s teammate after astounding everyone on his IndyCar debut in the 2018 season finale by qualifying his HSR car fifth and finishing ninth. Now he was walking away from the team after discovering HSR could only guarantee him the three drives guaranteed by his Lights title prize. It was a bold decision, considering the only obvious available ride was at Carlin Racing alongside incumbent Max Chilton – a part-time gig but a lot nearer full-time than anything HSR could offer. The vacancy had arisen as a result of (a) Charlie Kimball competing in just five races this year, and (b) Carlin proving unable to finalize a deal with the sponsor of RC Enerson, who had tested impressively for Carlin in the offseason. At the COTA test, Trevor confirmed to Motorsport.com that yes, he was interested in signing O’Ward for the other 12 events. They hadn’t spoken – didn’t even have each other’s phone numbers – but four weeks later the deal was announced as we headed to St. Petersburg for the season-opener. From Round 2, O’Ward would be a Carlin driver. Patricio O'Ward, Carlin Chevrolet, Circuit of The Americas. Since then, Norris has proven that McLaren’s confidence in his F1 prospects was not misplaced. He qualified eighth for his debut in Melbourne, and last weekend started 10th and finished sixth in Bahrain. 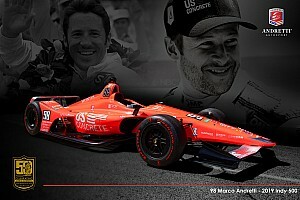 In between those first two F1 rounds, his erstwhile teammate became the youngest winner in Indy car racing history. 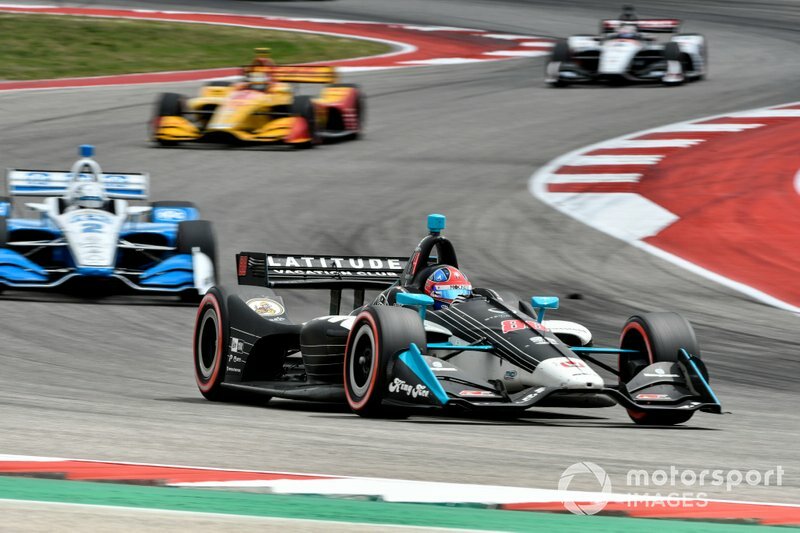 Yes, there was some luck involved in Herta’s victory at COTA, because a yellow flag ruined the outcome for polesitter Will Power (who would also be struck by mechanical disaster) and Herta’s semi-teammate Alexander Rossi. But on pure raceday speed, Harding Steinbrenner’s young charger, who had qualified fourth, was always destined to finish on the podium – a major achievement in only his third start. Certainly, Herta’s and HSR’s race weekend performances ended speculation about their pace during Spring Training. Back then, I was among the many who regarded Herta’s lap speeds with a great deal of cynicism – P1 in three sessions, P2 in the other. Of course, he’s highly skilled and Harding Steinbrenner now contains Andretti Autosport engineers. But still this result went against the natural order of things: it was HSR’s first test of the year and its driver had just a single IndyCar start to his name. Skepticism, heightened by the fact that IndyCar’s tech inspection was voluntary at the test, drove me to politely inquire of two senior Andretti folks that all was kosher on car #88. Was it missing something – 200lbs, perhaps? Or was it carrying something extra, like maybe a third BorgWarner turbo? Herta leads Josef Newgarden, Ryan Hunter-Reay and Graham Rahal, following the restart at Circuit of The Americas. Assured that Herta’s times were legitimate, it was no surprise to see him clock third fastest in Q2 at St. Pete, even though he lost his best times to officialdom for a minor infraction on track, and then in the race he banged a wall while on cold tires following a restart. But his performance in Austin 10 days ago was near impeccable. Having got up to second, he made a minor mistake under braking for Turn 1 and ceded the position to Rossi. And he wore out his used alternate-compound tires a little too quickly in the third and penultimate stint. But even that could hardly be classified as a rookie error, not on a weekend when so many series veterans had also struggled on at least one of Firestone’s two compounds. 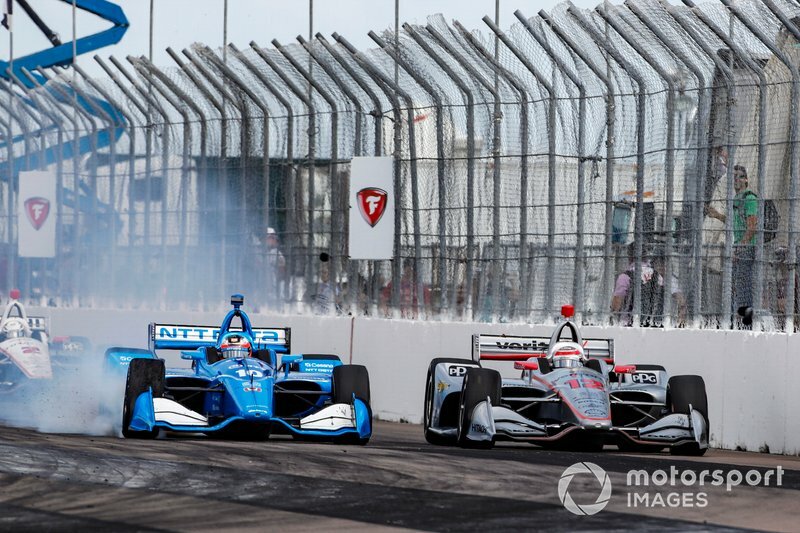 So Herta was the only driver able to keep up with Power and Rossi for the majority of the race, and he then easily held off their respective teammates Josef Newgarden and Ryan Hunter-Reay on the restart – in just his third IndyCar race. Yeah, young Colton deserves all the plaudits that have since come his way. Meanwhile, O’Ward spent the weekend driving a Carlin IndyCar harder than it had ever before been driven on a road course. In only his second IndyCar race, his first of the year and his first with Carlin, he qualified eighth and on raceday pulled off some brave and imaginative passes. Fifth with 10 laps to go, O’Ward had to then urgently save fuel and so fell to eighth at the checkered flag. But his potential is immense because he’s got the fundamental pace, and under the watchful eyes of Carlin and Matt Greasley, his race engineer and strategist, O’Ward should rapidly evolve into an IndyCar ace. “He’s fantastic,” Carlin enthused to Motorsport.com. “I knew he probably would be. You know what I think of Lando and Colton, and Patricio’s definitely one of those proper top talents coming through from that generation. “You’ve got to see his hands working the wheel – never seen anything like it! I don’t know if it’s because boxing is part of his workout routine, but his hands are so fast. Incredible. Preseason, much of the rookie talk centered on the two Swedish arrivals, Felix Rosenqvist and Marcus Ericsson, and I think the media and fans can be forgiven our enthusiasm. Rosenqvist has been a winner in almost everything he’s tried, he looked at least as quick as Chip Ganassi Racing teammate Scott Dixon in testing and Chip runs one of the best teams in Indy car history. How could he possibly fail? Now judging by his first two races in the NTT IndyCar Series, Rosenqvist’s qualifying pace is indeed superb, and so too is his racecraft. He had a fumble or two on pitlane in St. Pete, but on track, he passed polesitter Power on a restart and went on to lead 31 laps. 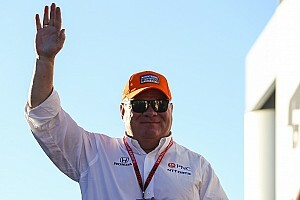 COTA was a struggle for the whole Ganassi team on race day, and Felix had a little spin, but he also had the pace to finish in the top four, and for a second race he outqualified his five-time champion teammate Scott Dixon. Felix Rosenqvist's Ganassi-Honda passes Will Power's Penske-Chevrolet to take the lead following a restart at St. Petersburg. As for Ericsson, he came to the series with almost 100 Formula 1 starts to his name, and while never known as a great qualifier, last year he showed strong race pace at Sauber. If the #7 Arrow Schmidt Peterson Motorsports pilot has endured a slightly lower-profile start to the season than his fellow freshers, it is because he takes a little longer than his predecessor/teammate-in-waiting Robert Wickens to build his confidence to a pitch where he just goes for broke and lays down a time. He’s getting there, however. Unlike in St. Pete, where his radiator was holed by debris, Ericsson gained a full race-worth of experience at COTA and he looked like the driver we expected. In qualifying, a red flag at the wrong moment consigned him to the eighth row of the grid, but on Sunday he drove with panache and without significant error as he fought his way into the top five. 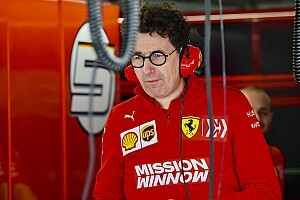 Had he not been sent to the back of the pack for his team’s pitlane infringement, he would likely have finished fourth. The jury’s still out on Dale Coyne Racing’s newbie Santino Ferrucci, but aside from having a minor crash in qualifying at St. Pete and a spin on his IndyCar debut in Detroit last year, he seems to have done little wrong and plenty right in his first six starts in the series. 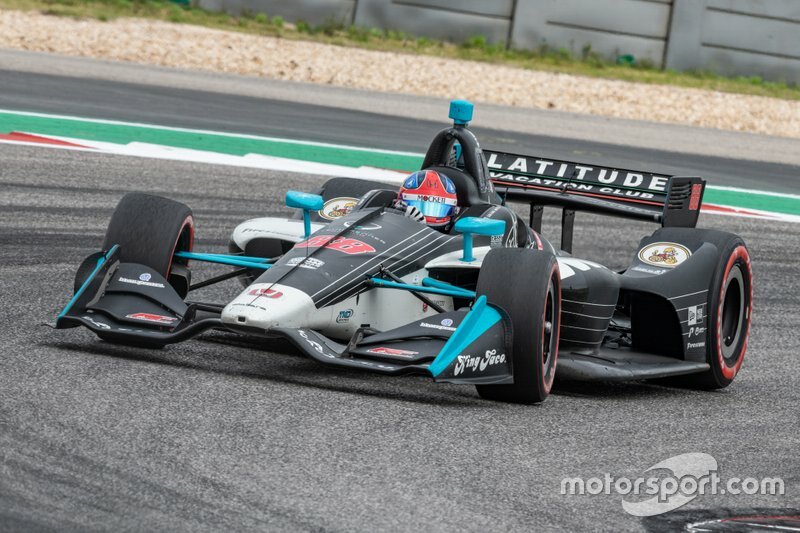 It wouldn’t be a surprise to see him legitimately outqualify teammate Sebastien Bourdais on occasion this year – as he did in Motown last season. Was it not inevitable that Herta, Rosenqvist, O’Ward etc. 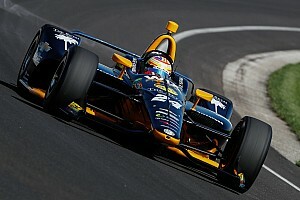 would shine in IndyCar? It’s wise to be wary. You’ll swiftly run out of digits while counting drivers from the last quarter-century who have racked up wins or even championships in junior series, then looked quite ordinary once they graduated to IndyCar or F1. Very infrequently, along comes a driver like Rosenqvist about whom no one has any reservations – He’s gonna be a star! And yet, while one doesn’t wish to be racing journalism’s equivalent of the Decca Records guy who spurned The Beatles, equally it’s best to avoid becoming cheerleader for the mediocre. For example, Felix’s early tests for Ganassi were in an IndyCar still running the ludicrously downforce-laden manufacturer aerokits. So there remained the possibility that his impressive pace was the result of being an “all balls and eyesight”-type driver, as Aussie legend Frank Gardner used to describe some of his braver but less-skilled rivals. Therefore it wasn’t until Rosenqvist had used the current spec kit in a couple of tests – the first of which he admits contained several spins – that it felt 100 percent safe to declare him as the real deal at this level. 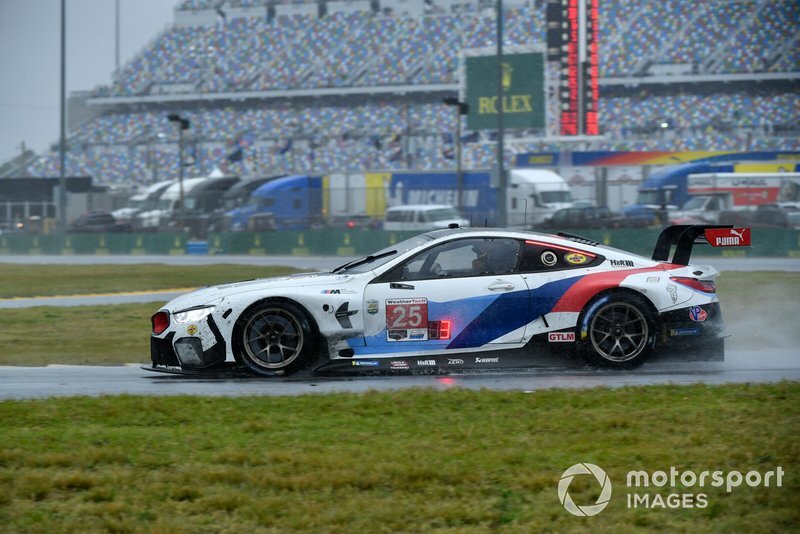 The GTLM class-winning BMW M8 of Colton Herta, Augusto Farfus, Connor De Phillippi and Philipp Eng at this year's Rolex 24 at Daytona. Felix, like last year’s IndyCar super-rookie Robert Wickens, is tremendously versatile, while Ericsson, as an ex-F1 driver, was also expected to comfortably acclimate to IndyCar, much as Rossi had. But these are all drivers joining IndyCar in their late 20s, with vast amounts of experience on which to draw when encountering a new car, new track, new rules, new rivals. In that regard, Herta and O’Ward – teenagers both – deserve even more kudos for their Austin showings. Yes, Herta has shone in a BMW M8 in IMSA, steering the victorious GTLM-class entry at Daytona, and apparently O’Ward’s skills caught the attention of those who watched the last Race of Champions. But still, each was relying far more on instinct than knowledge when adapting to new cars. One point worth noting that brings great credit to all of this year’s rookie intake is that they gave the series veterans almost a full season head start with the current aerokit. While it’s foolish to play down Wickens’ sensational drives in 2018, he learned the new IndyCar’s radically different handling traits and grip limits at the same time and same rate as his rivals, and with little to ‘unlearn’ or taint his judgment. This year’s beginners have gone wheel-to-wheel with – and outperformed – drivers who know the spec Dallara aerokit’s dynamics, fundamentals and intricacies. As well as highlighting the immense impact that Herta, O’Ward, Rosenqvist and Ericsson are having or could have on the NTT IndyCar Series, it’s worth pointing out that they haven’t yet amassed 10 starts between them. Perhaps too much is being read into too small a sample of events, one of which was held at a track on which everyone had a similar amount of laps logged in an IndyCar, namely, Circuit of The Americas. At venues such as Detroit or Toronto or any of the ovals, surely the series’ champions and regular title contenders will assert themselves over the precocious neophytes. Or will they? The form that the newcomers showed in the opening races of 2019 sure didn’t look like anomalies. And anyway, one of the characteristics of the exceptionally gifted racer is the speed at which he or she learns the fine details of a track through walking it, driving it, watching onboard footage and picking the brains of driver coaches. Wickens leads Schmidt Peterson Motorsports teammate Hinchcliffe, Rossi, and eventual winner Newgarden on the final restart at Phoenix last year. It was Wickens' first ever oval race. So even the ovals may not separate novices from experts. Last year Wickens almost won at Phoenix’s ISM Raceway having leaned heavily on teammate James Hinchcliffe for setup advice. We can be sure Ericsson will do the same at Indy, Iowa, Gateway, etc., just as Rosenqvist will listen to Dixon, and Herta will learn from his Andretti Autosport peers. 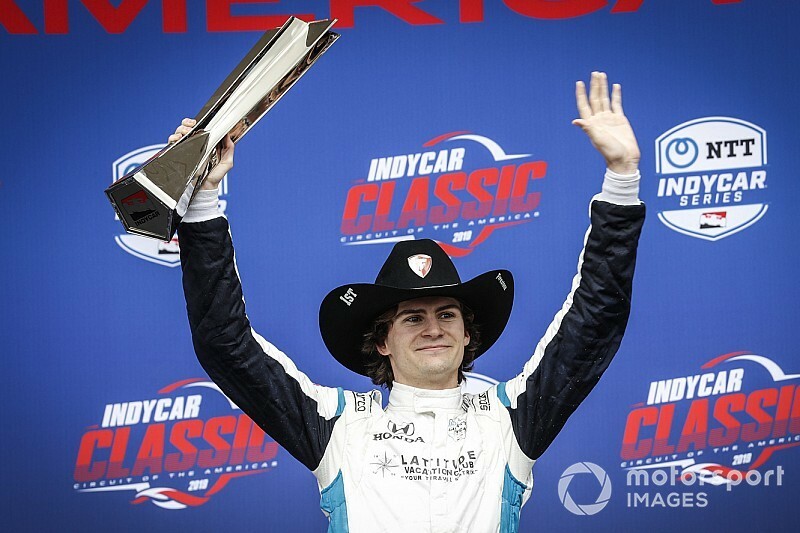 Chilton probably isn’t in the best position to advise O’Ward on ovals other than Indianapolis Motor Speedway, but that doesn’t matter too much since Kimball will replace the Mexican youngster at both Texas and Pocono, and will join him as a third Carlin driver at Indy. The other two ovals, Iowa and Gateway, are tracks where Patricio has raced in Indy Lights. The point is, the best newcomers learn fast if they listen and learn from the best established aces – and then race them. If the NTT IndyCar Series really has just been blessed by the arrival of a handful of potential champions, then it’s time for the more infrequent winners to start worrying. Even if Rosenqvist, O’Ward, Herta and Ericsson were locked down to 10-year deals, in order to compete with them, other team owners are going to have to persuade their current drivers to get up on the wheel or get out. Over many seasons, active IndyCar veterans now in their late 30s – Dixon, Power and Hunter-Reay – have proven they have the firepower to go wheel-to-wheel with any new challenger… although a few years ago they had to grudgingly acknowledge a couple of guys 10 years younger, Rossi and Newgarden, were in that top echelon, too. Question marks still surround 2016 champ Simon Pagenaud and four-time Champ Car title-winner Sebastien Bourdais. Last year they had some very strong days but were often struggling to find setups with the new aerokit that meshed with their driving styles. 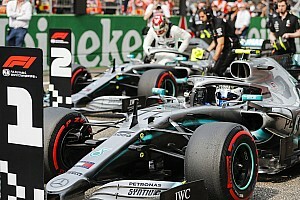 Conclusions can’t yet be drawn on their offseason progress because each has been cruelly skewered by red flags during qualifying for both 2019 races, inevitably compromising their Sunday results. If they have found setup nirvana, they too should be able to take on the arrivistes. From there on down, it could get bloody. IndyCar is not, praise be, like Formula 1, where champions like Fernando Alonso can go five seasons without a victory, or where a lavishly talented driver such as Nico Hulkenberg can enter his ninth season without a single podium finish to his name. IndyCar teams are just too evenly matched for the spotlight not to pick up who are consistently the best drivers and (crucially) who are the flakes or regular underperformers. “Yeah, that’s true!” chuckled Hunter-Reay when I put that theory to him. 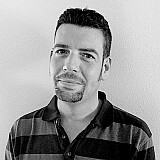 “Although there are always differences between the teams, even in a spec series. When the top 15 cars are covered by a second or whatever, it only takes one small wrong decision in engineering meetings or on pitlane to hurt you, just like one bad corner by a driver will cost him a load of grid positions. 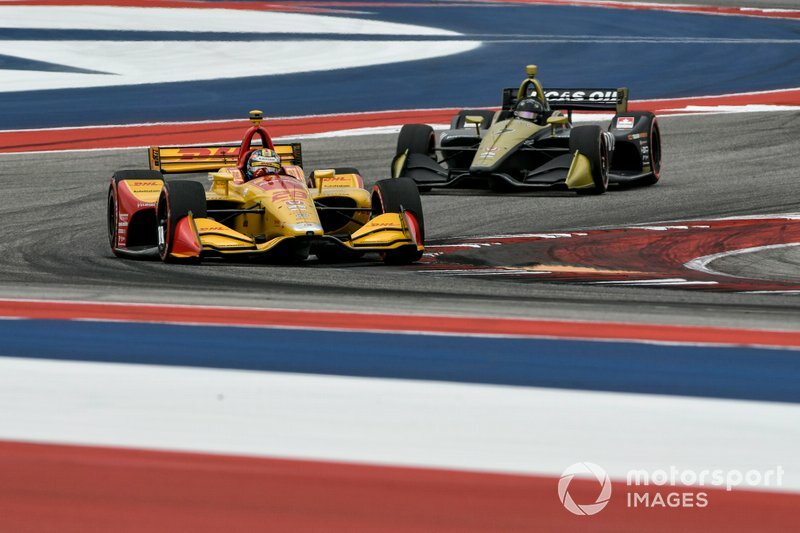 Hunter-Reay chased by one of the 2019 freshers, Marcus Ericsson, who spent five years in Formula 1. “But you’re right, there’s a great crop of rookies this year, the strongest we’ve had in a while, and it will have an effect. For one thing, a fresh influx of talent is good for IndyCar as a whole because it shows everyone that this is where these very talented guys want to be. That will push the series forward, draw more attention, make it more attractive to the next generation. “The other thing is that these rookies – the ‘new wave’ really started last year with Robert Wickens – are going to be challenging us more established drivers at every race, so it’s only going to get tougher.